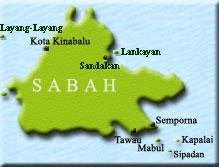 There is always something new to expect at Dorsett and Silka Hotels under Dorsett Hospitality International in Malaysia! With Only A Price, Diners can now Enjoy Two Irresistible Dining Experiences at Two Hotels starting from April 15 to June 15, 2015. During the three-month promotion, Dorsett Grand Subang’s Terraza Brasserie and Dorsett Regency Kuala Lumpur’s Checkers Cafe will be offering two irresistible dining adventures for up to four diners at only a price of RM388++. 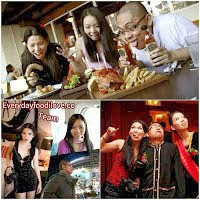 Dining is available at lunch and/or dinner. 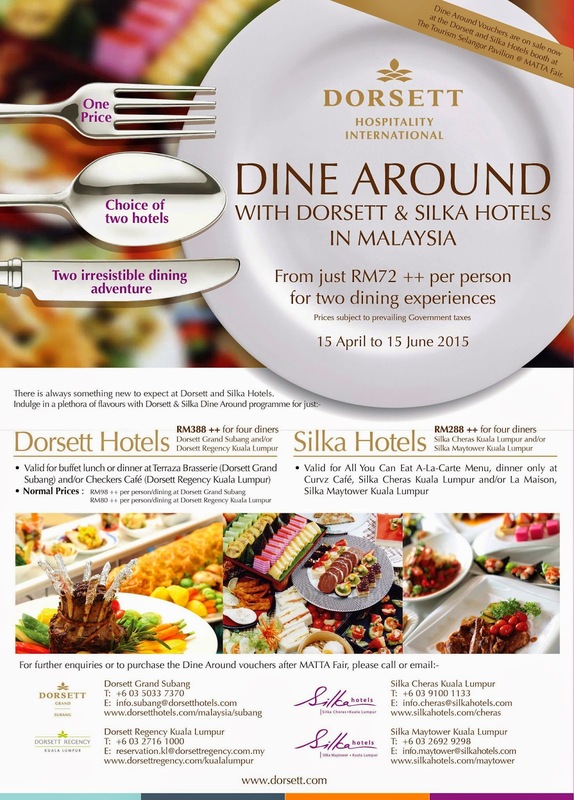 At Silka Maytower Kuala Lumpur’s La Maison and Silka Cheras Kuala Lumpur’s Curvz Cafe, the value-led hotels are offering the two dining experiences of “All You Can Eat A-La Carte Menu” for the price of RM288++ for four diners. Promotion is only valid for dinner only. 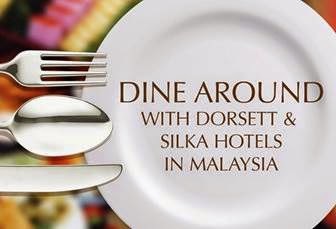 The “Dine Around with Dorsett & Silka Hotels in Malaysia” vouchers can be purchased at Dorsett and Silka Hotels’ booth this MATTA Fair from March 13 – 15, 2015 at Tourism Selangor’s Pavillion at Putra World Trade Centre (PWTC), Kuala Lumpur. Headquartered in Hong Kong, Dorsett Hospitality International (HKEx Stock Code 2266), is a spinoff from Far East Consortium Limited. With three brands under its umbrella ….the upscale and midscale Dorsett Hotels & Resorts and d.Collection comprising a range of charismatic boutique hotels; and the value-led Silka Hotels; the group currently owns and manages 30 hotels in China, Hong Kong, Singapore, Malaysia and United Kingdom; with eight more openings within the next two years in China, Hong Kong, Malaysia and United Kingdom. 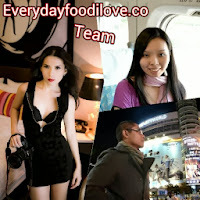 For more information on Dorsett Hospitality International, visit: www.dorsett.com.